One of the newest of all shapewear silhouettes, torsettes can control, shape, or transform your upper body while still giving you the freedom to wear your favorite bra. 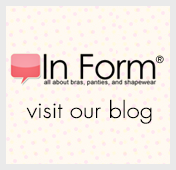 All styles address problem areas of the upper back, midriff, and tummy, cover bra lines, and provide extra definition for the waist. Though the bottoms of conventional versions rest at the hips like camis, variations may end as slips, briefs, or thigh slimmers.